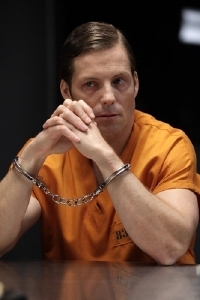 In conjuction with the DVD release of John Doe: Vigilante (review) this week, I had a chance to speak with the movie's lead and former Battlestar Galactica star Jamie Bamber. Over the course of our conversation, we touched on what attracted Bamber to the role, his personal feelings on vigilante justice and we dug pretty deep into one of the scenes late in the film's third act and though it's not much of a spoiler, we get pretty deep into the themes of the movie. Bamber also shared a few details about his upcoming role in the new supernatural drama "The Messengers" (which premieres tonight) and his new thriller Numb which recently wrapped shooting.